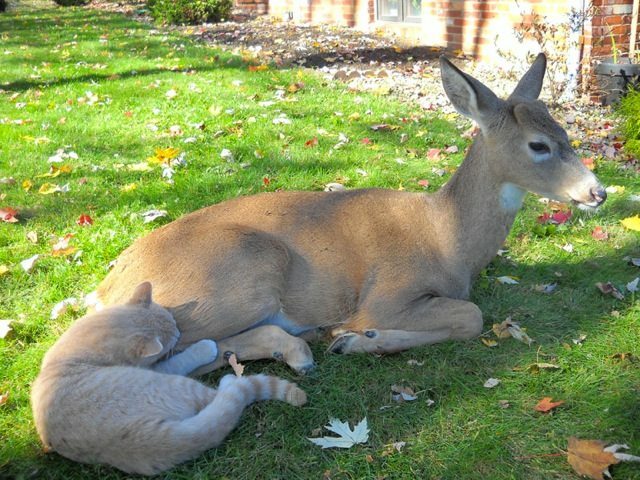 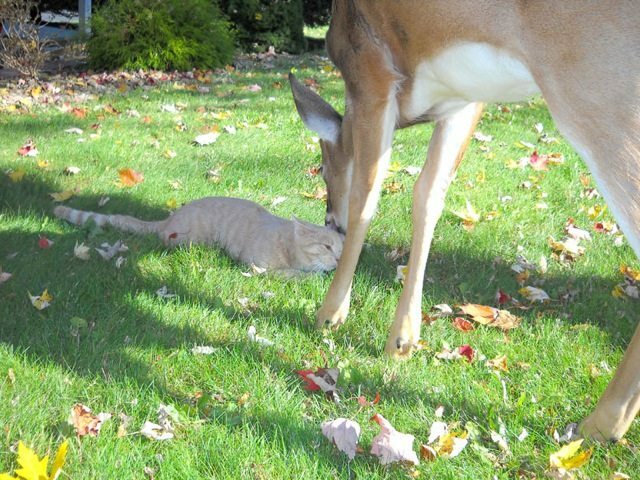 Deer Stops By To Visit Her Favorite Cat Every Morning – Arm The Animals Clothing Co.
A cat living in Harrisburg, Pennsylvania, has found himself a very unusual best friend: a local deer. 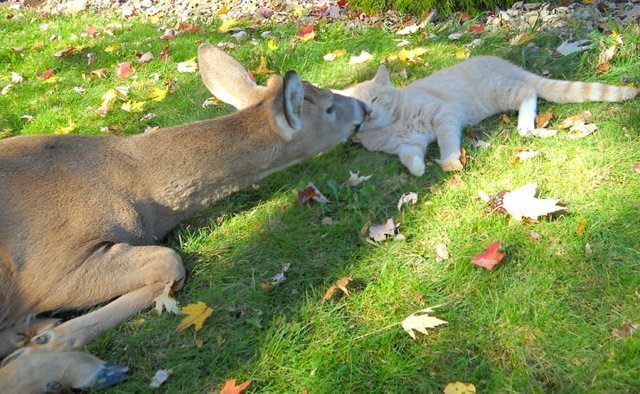 In an older photo series, the friendly deer comes to visit her cat friend every morning, and the cat is always VERY happy to see her. 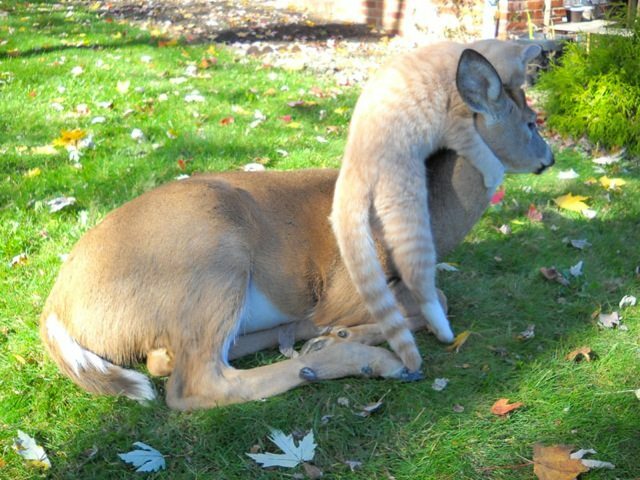 ... and, of course, way too much excitement. 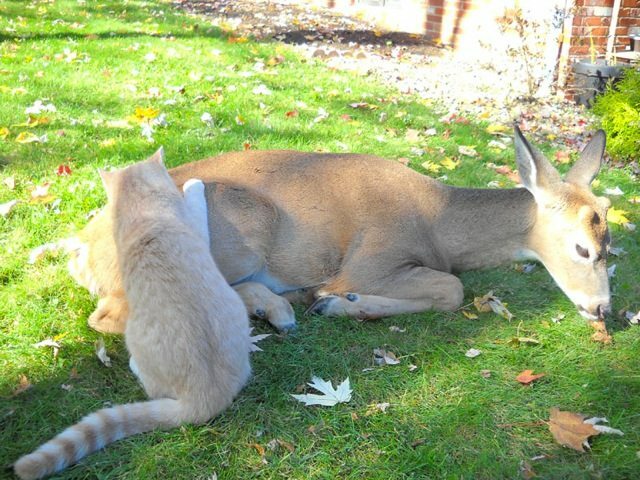 ... but clearly it works for them, and that's what matters.